McQueen Shoreditch Volume One is the brand new compilation from the renowned house imprint, Seamless Recordings set for release on 14 April. 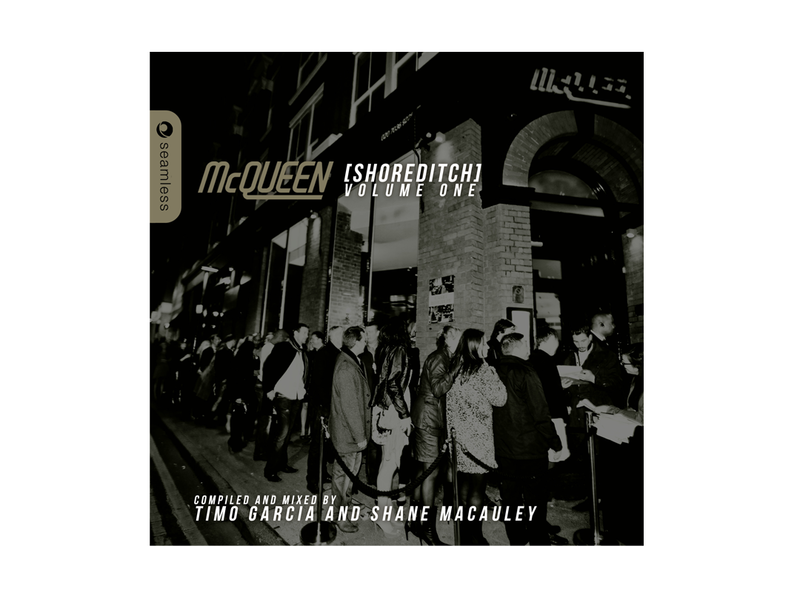 From soulful deep house to underground tech-house selections, this two part album mixed and compiled by the infamously skilled Timo Garcia and McQueen pioneer Shane Macauley captures the unparalleled vibes of the award-winning McQueen. Based in the achingly cool East End of London in Shoreditch, McQueen is host to some of the UK’s best loved club brands including Hed Kandi, Pukka Up and of course, Seamless Sessions. Knowing a thing or two about what makes the perfect compilation (having created the legendary Bargrooves series and the popular Purobeach releases) Seamless Recordings have worked their magic yet again to create a release that expertly captures McQueen’s transition from sophisticated bar to thumping night club. Making his mark on Disc 1 is McQueen resident and events director, Shane Macauley with a selection of tracks currently tearing up dancefloors worldwide. To name a few, Brett Gould’s mix of Grum’s In Love (recently featured on Pete Tongs Essential Selection), the massive Ridney re-work of Missing You and an exclusive Alias Rhythm mix of J.Cub feat Bibi’s Stay With Me, which is already set to be a summer hit. Shane has been instrumental in creating McQueen’s in-demand profile, and his mix of deep house medleys, accompanied by tasteful soulful undertones, is exactly the kind of vibe you can expect from the DJs in the bar as the party starts to warm up. On disc two is one of the UK’s most skilled DJ / producers, Timo Garcia who takes the tempo upscale and the vibe deeper with the strong tech injections that both he and McQueen are known for. Timo’s selections include the massive anthem by Dave Davis & Kolombo Girlz in Wonderland (Donatello Mix) and DJ Pierre & Timo Garcia’s Phuture Flashback mixed by Purple Disco Machine. Garcia has been at the forefront of production through his own releases on pretty much every credible label on the planet including Skint, Yoshitoshi, Stealth, Toolroom, Compost, and CR2, and his expert choices on McQueen Shoreditch including five exclusive tracks by Mikael Delta and Emeskay harmoniously complement disc one. With the look and feel of a fashionable New York City Manhattan bar, it’s no surprise that McQueen is rammed every weekend with a super glamorous crowd, who thanks to Seamless, can now have a little piece of McQueen with them everywhere they go.